Thousands are taking part in a rally in the Georgian capital Tbilisi as mass protests enter the sixth day of demonstrations against President Saakashvili. The opposition demands his resignation accusing the President of abuse of power and turning the country into an authoritarian state. The activists decorated the fence around the President’s residence with colourful ties. 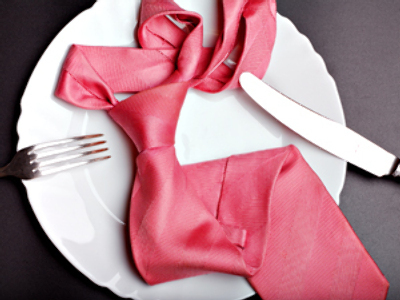 “Everyone, who has wrapped a tie around the fence can make a wish. And I’m sure, that we all going to have the same wish – the president’s resignation,” said Kakha Kukava, representing conservative wing. 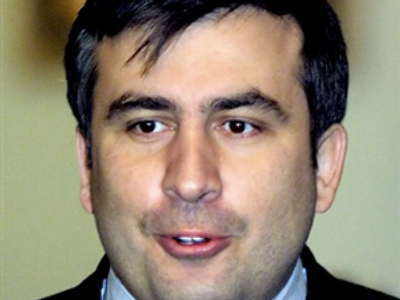 The action was in memory of the famous footage of Mikhail Saakashvili, chewing his tie during a live interview with an American tv-channel. The video became very popular with the opposition, eagerly joking around with it. 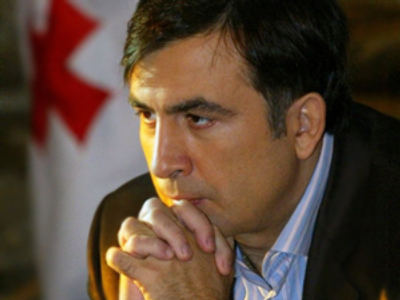 Earlier the opposition released a rabbit at Saakashvili’s residence with a red tie around its neck. The 24 hours mass protests, led by opposition movements, started on April, 9 under a motto “Misha, go away!”. 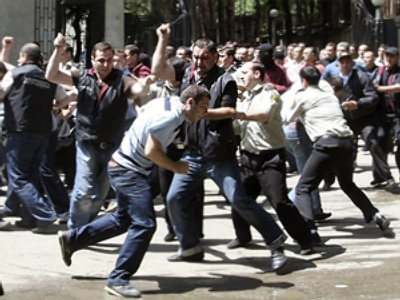 The activists have divided protests venues in Georgia’s capital Tbilisi into zones of control. Thus “Alliance for Georgia” with Georgia’s former ambassador to UN, Irakly Alasania heading the party and leader of United Opposition Levan Gachechiladze are responsible for rallies in front of Public television building. Protests near the President’s residence are controlled by the Conservative Party, movement “For united Georgia” and Party of Peoples. 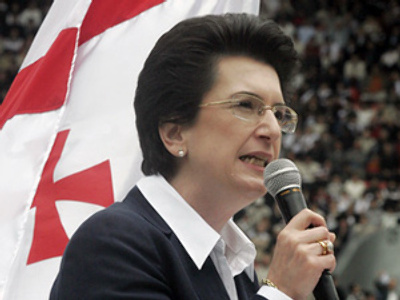 “Democratic movement – United Georgia” party, headed by Nino burdzhanadze, “Georgia’s Way” party with Salome Zurabishvili and “Alliance for the freedom” remain on the main venue in front of the Georgia’s parliament. 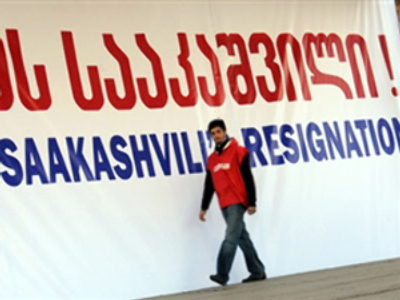 “Our demands remain the same – peaceful resignation of Saakashvili. If the authorities have been good, the state would have functioned properly by the year 2013. But now the only one change is necessary – the change of president. The only thing we are ready to talk about is his resignation,” said former parliament speaker Nino Burdzhanadze. On April, 15 the opposition promises to announce one more venue for the rallies.